I’m writing this to try to help spread the word and perhaps get a dialogue started. Today on twitter I saw an retweet by Rob Bertrand, the Voice of the Collector and Co-Host of Cardboard Connection Radio that came from a collector with the twitter handle “@johnbbz” that warned of an eBay seller trying to sell off fake cards. I was about to retweet the warning, but decided to confirm it for myself first. 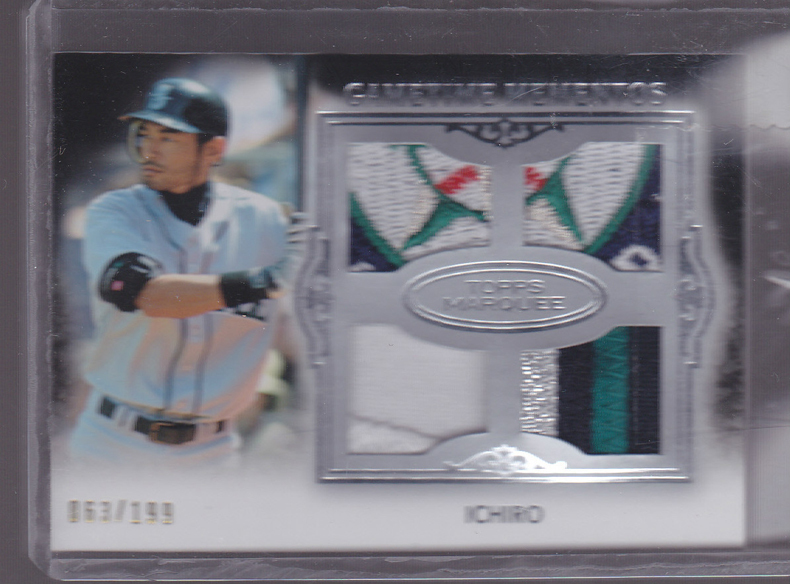 So here is the listing in question, a Buy It now OBO of $175.00 which is set to end around August 17, 2012. Seems fine, until I found this listing for an item that had already been sold by a different seller for $32.99 on June 5, 2012. As a side note, the winner of this auction has their profile set to private. Here are the cards from the listings side by side. They look like two different cards. But upon closer inspection you notice this. Same card number, different swatches. So one of these is real and one is a fake. I'll let you decide which one is which. I’ve covered this subject matter before, and I've seen others cover it too, before and after me. But clearly, the problem persists. I’m not going to call out the seller, because they will eventually get shut down and then they will find another way to continue, whether it be with another user name, or through another venue. How do I know this? 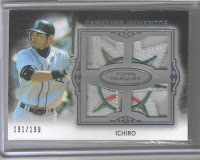 Because you can pick up these Ichiro cards too from different sellers. Do I know for sure they are fakes? 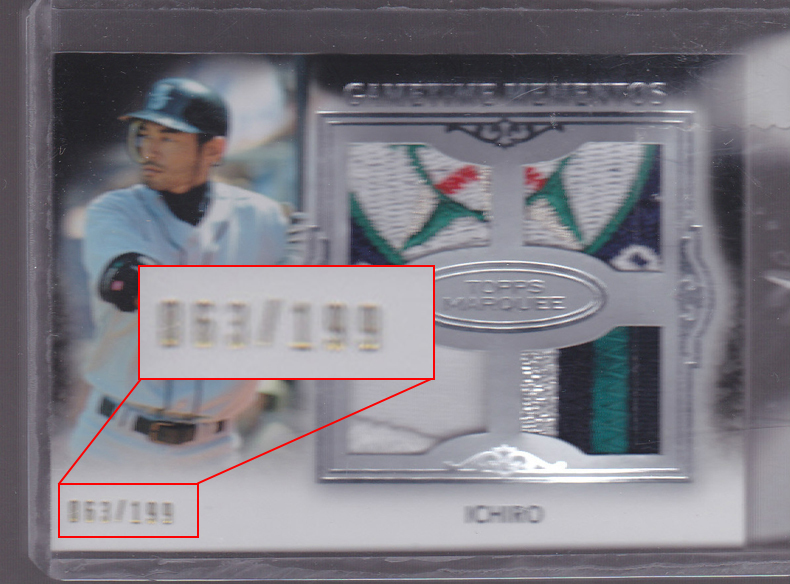 No, I’m not going to track down every card, but it sure doesn’t seem right for a 2011 Topps Marquee card numbered to #/199 to have such killer patches. 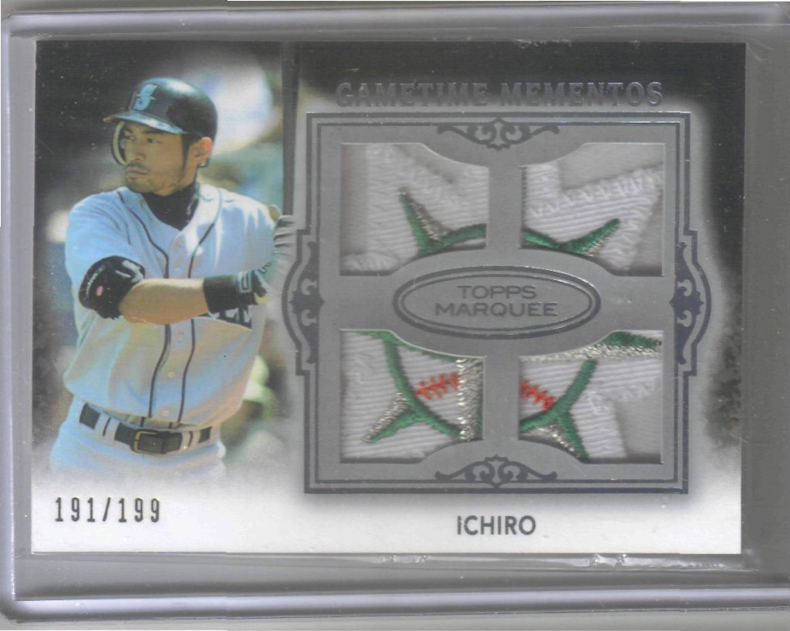 But I will provide this link to the auction for card #063/199 that sold in June and a link to the current auction for card #063/199 with the patches if you want to see all the information for yourself. I'm not posting this because I think everyone out there is dishonest, or that eBay is rife with fakes. I'm sure the vast majority of cards that can be purchased are real and from good, honest people. 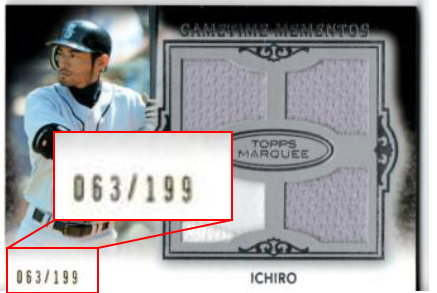 I also don't think Topps is at fault here or any other card company for that matter. 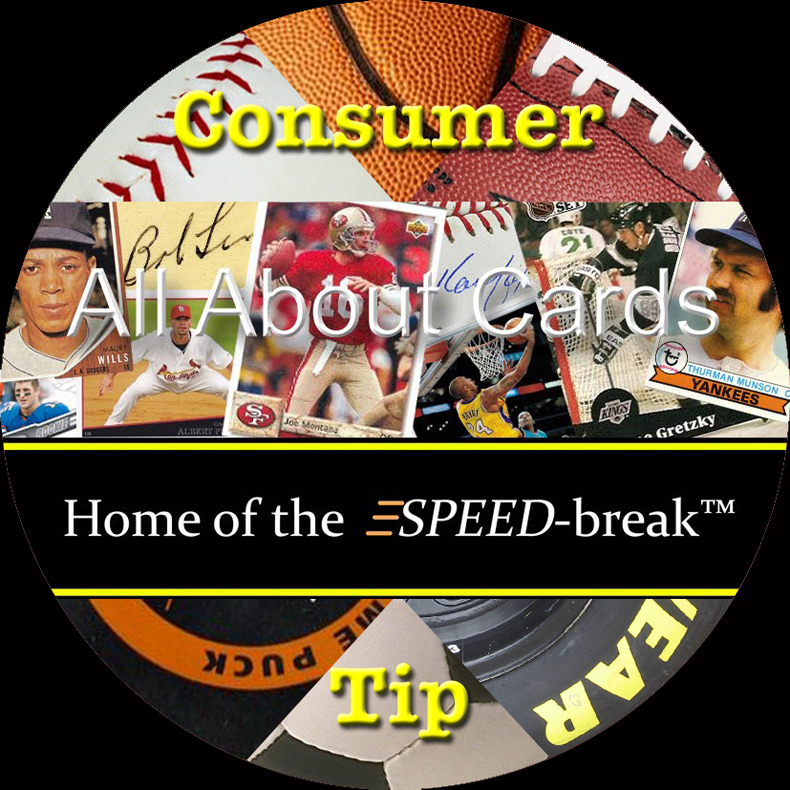 Some have suggested that companies should set up visual databases of all of their hit cards. The problem I see with that is two fold. One, that would require a huge investment which, as with the increase in the production costs of any goods or services, gets past along to us, the consumers. Two, with a database industrious scammers would simply have a blueprint to knockoff fakes that are exact matches of the real cards. Bottom line here is caveat emptor. Use the resources around you. Learn about the products you are thinking about purchasing by checking past reviews from this site or others like Field Level View or the great visual checklists over at Sports Card Radio. Knowledge is power and if you know your products it gets easier to spot when something is not right. So what do YOU think we should do as collectors? What can be done to stifle this practice of deception? Use the comments section below to get the discussion started and, please, be careful out there.